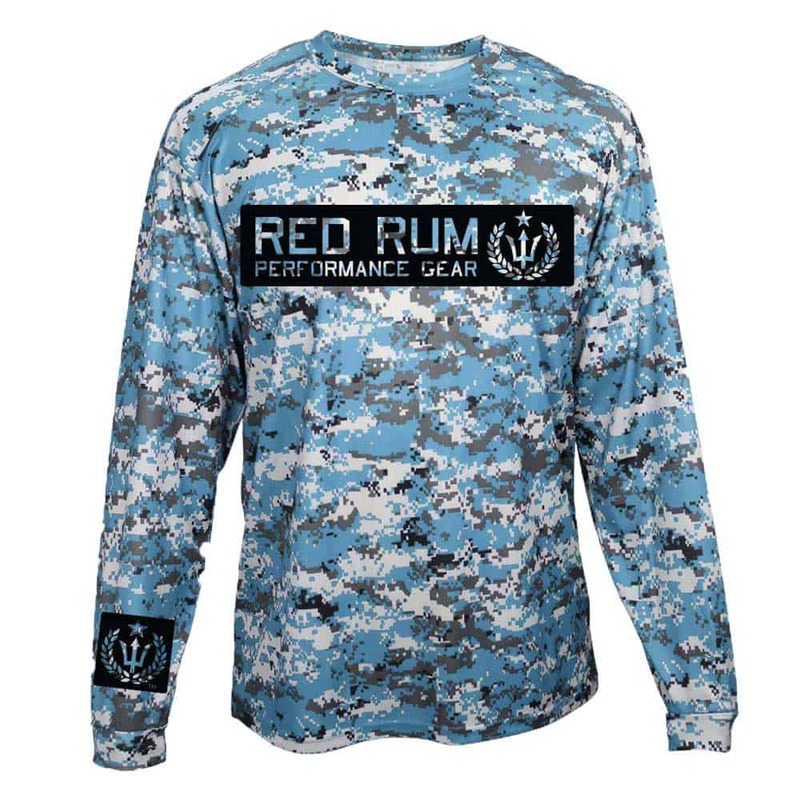 Red Rum Spearfishing Shirts are NOW available at Macs Sports in Clearwater and Tarpon Springs. Macs Sports is one of the oldest Dive Shops in the area and has been serving Pinellas County for over 20 years! Macs is a full service dive center with two locations, an on-site pool at the Clearwater location and an extensive amount of SCUBA and freediving gear including equipment, apparel and more! Longtime owner of the family operated business, Brian, was extremely excited to try something new in his dive shop for the 2017 season. He decided to carry the NEW Ruler Sleeve 2.0 Grouper Shirts in both black and graphite, along with the Red Rum Freediver Shirts in silver and white! Both of these style shirts are UPF 30+ Sun Protective, quick drying, anti-snag and 100% polyester. These are the exact shirts you want for a day out in the sun, above or below the water. Brian was not the only one who was excited about the addition. “It was an honor for me to have a chance like this”, says Red Rum’s Daniel Del Sol. “For years, Macs was my hometown dive shop, and its still the dive shop of choice for my father and his friends. 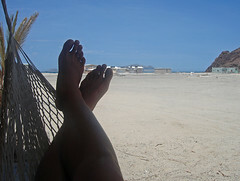 I am excited that Brian was willing to work with a local and give our products a shot “. All Red Rum Products will be displayed and ready for purchase in both Macs Sports locations by Friday, 5-19-17. Feel free to stop by and pick up your piece of local diving and spearfishing swagger! Austin’s Diving Center has restocked the Digital Camo Performance Shirts in Light Blue. This shirt serves as a perfect light weight rash guard, that also provides U.V. Protection! 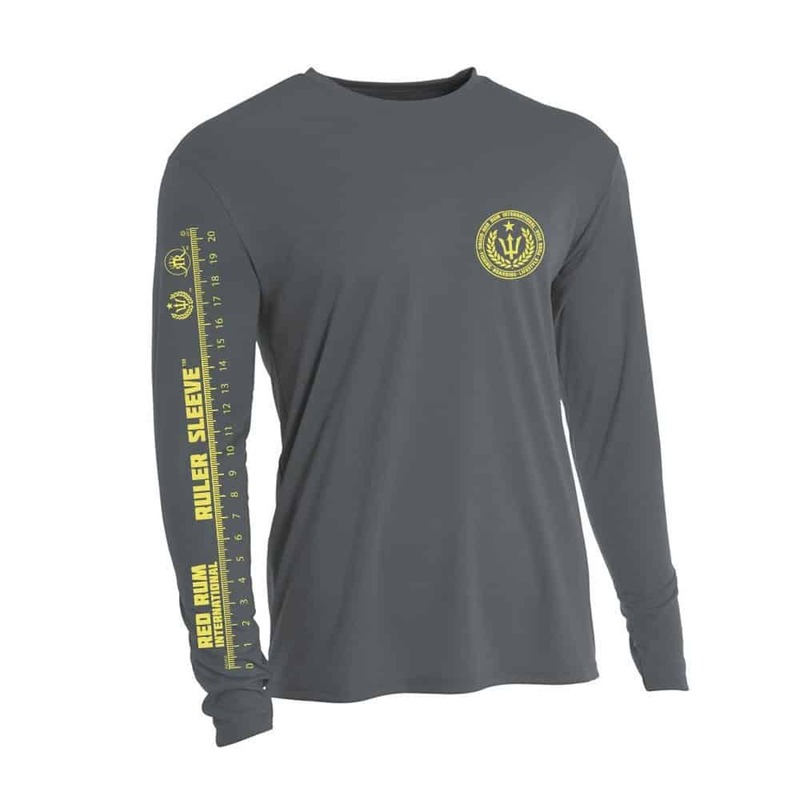 They have also added the awesome NEW Ruler Sleeve 2.0 Fishing Shirts in Black and Charcoal. The shirts contain the famous Ruler Sleeve (TM) and depict an awesome grouper on the back! Be sure to stop by and check them out, sizes S-XXL. The St. Pete Open Spearfishing Tournament is one of the largest spearfishing tournaments in the nation. Back in 1956, fifty divers entered the very first St Pete Open. The Open has grown every year since- to an annual attendance of 300 competitors! Over 40 years thousands of divers have taken part in the St Pete Open, making it the premier spearfishing event in the world. No other tournament draws such a crowd, or has the consistently huge following of The St Pete Open, which is hosted annually by the St. pete Underwater Club (SPUC). This year (as in previous years) the event will be held at the Magnuson Hotel and Marina in St. Petersburg, FL from August 17-21. 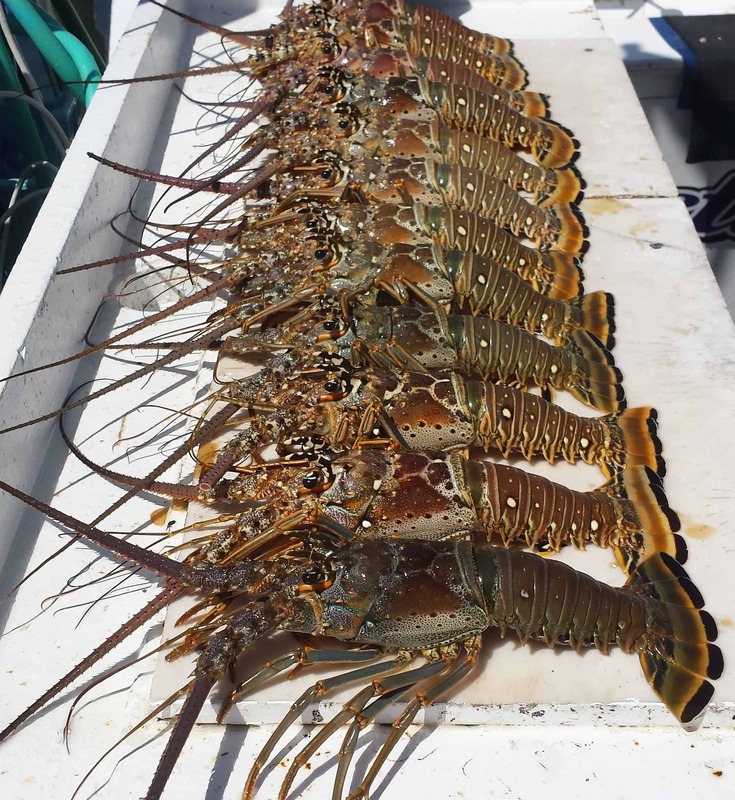 The event will also include a variety of sponsors from the Spearfishing, SCUBA and freediving industries including Tampa Bay area’s very own Red Rum International. 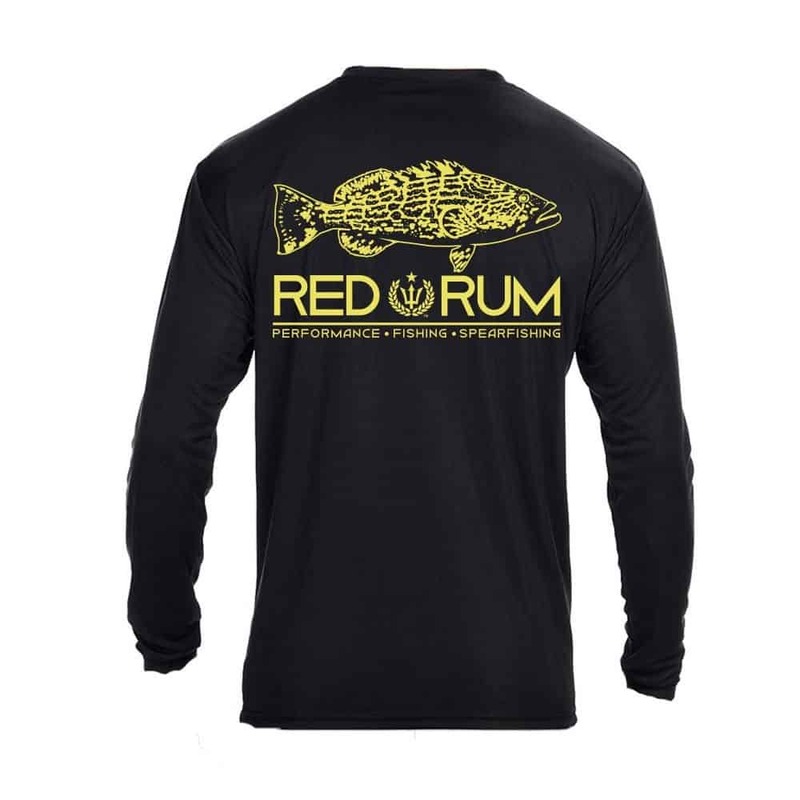 Red Rum is a tropical lifestyle clothing brand based out of the Tampa Bay area and the Florida Keys whom specializes in upf performance fishing and spearfishing shirts as well as hats, board-shorts and other tropical lifestyle clothing. Red Rum International will have their products displayed in one of the Bay area’s newest and premier dive shop’s booths, hosted by Infinite Descent. Infinite Descent is a full-service dive shop located on Madeira Beach and is locally owned by former U.S. Military members Will & Nate. Both are certified dive instructors whom offer both spearfishing and SCUBA classes from their shop, in addition to a full array of dive and spearfishing gear. Sunday August 21st: Awards Ceremony 10am – 2pm, experience the biggest prize and raffle table in the sport! You do not need to shoot to win awesome prizes. Ever since time immemorial, man has devised and designed thousands of ways to conquer the elements and the odds. This desire to overcome has become a passion of sorts, something that sometimes takes precedence over other important things in their lives. This passion is most evident in the way they take to extreme sports, like breath-hold spearfishing. Nothing is able to challenge man more than being able to conquer immeasurable and nearly impossible odds and spearfishing, an ancient method of fishing as old as ancient civilization does exactly that. From the time only sharpened sticks were used 20,000 years ago to these modern times when elastic spearguns and slings are used, the thrill of the hunt and chasing prey until it is cornered and captured, hasn’t dampened the enthusiasm for this sport one bit. View Spearfishingproducts website for more about what makes spearfishing more than just a hobby for most people. Spearfishing began in the Paleolithic Age, with early man using stone tools to catch their prey. These tools were a marked improvement over sharpened sticks and allowed man to cover wider ground as far as finding food was concerned. Many historians as well believed that the symbolic trident held by Neptune the God of the Sea was actually a harpoon and as such, many early fishermen, including early Egyptians, Inuits, ancient Hawaiians and Mediterranean folk used primitive, sharp-tipped harpoons that helped make targeting and catching prey faster and easier. They also used wooden spears that were about six to seven feet long and built fishponds were they perfected spearfishing techniques as well as continued to invent better and more modern weapons to catch prey. Learn more about the evolution of spear fishing and more in spearfishingproducts.com.au, which is a site devoted to everything and anything about spearfishing. In 1870, the first pressurized spear gun was invented, the purveyor of today’s modern models. Its invention allowed practitioners to fish in deeper waters, training divers to be able to hold their breath under water for up to four minutes or longer. Consisting of basic components like the spear, a stock/barrel and a handle/grip that contains a trigger mechanism, it is usually between .5 to 2 m in length and roughly round or rectangular in diameter. There are two most common types of spearguns, namely the rubber powered, which is the least expensive and easiest to maintain and the air powered or pneumatic speargun. 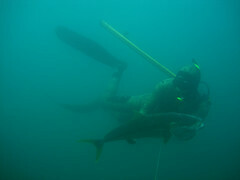 Learn more about the speargun in www.spearfishingproducts.com.au and find out why it is one of the most important equipment that spear fishermen need to have and invest in. The passion for spearfishing grew so much that by the time the 1950s rolled around, it has become a competitive sport more than as a means of sustenance. This fact became even more pronounced with the invention of additional safety equipment like goggles, snorkels, wetsuits and fins. Divers learning advanced free-diving techniques further contributed to it becoming the highly competitive extreme sport it is today. Despite the many changes and developments the sport has gone through, it is for most enthusiasts the most basic but also the most adventurous way to fish, the ultimate way to hunt. In addition it is also the most challenging, what with having to do it diving in one breath and overcoming more than your fair share of odds. No wonder it has become more than just a hobby and definitely one adventure that is definitely not for the faint-hearted. Who wouldn’t want to prove that they have the ability to kick down 55 feet under water and resurfacing in one breath? If you want to turn your passion into reality, you can start checking out sites like Spearfishingproducts.com.au, find more spearguns in Australia in Spearfishingproducts.com.au and understand what is it about this extreme sport that makes most people want to go under. 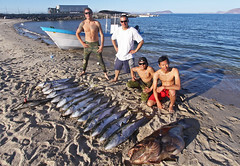 Spearfishing, which is a type of one breath diving sport, is certainly becoming more than just a hobby for most. Find out more about spearfishing and more in www.spearfishingproducts.com.au and what you need to succeed at this exhilarating exercise.